Telus Cuts Unlock Fees, Eliminates Activation Fees. Telus released new details regarding the unlocking of devices on their networks Monday, cutting the cost from 50$ to 35$. In addition the company has announced they will be eliminating activation fees (35$) and equipment exchange fees (25$). 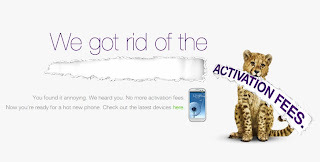 Telus is hoping to lure in customers by lowering the initial cost price of signing a new contract and keeping existing customers happy by offering cheaper options for accessing other networks. To ‘Unlock’ is to allow a device tied to a specific network the ability to use SIM cards from other carriers. This can be especially useful for people travelling between Canada and the United States, or for anyone who wishes to keep their device when switching to a new carrier.